The omnidirectional is most versatile, with its generous pick up pattern and uniform frequency response. 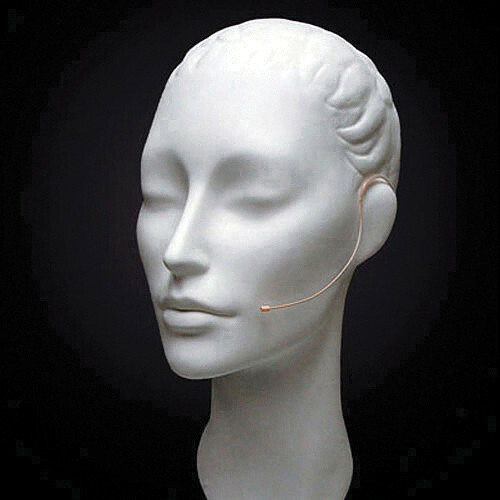 Flexible microphone positioning is maintained and the included windscreen minimizes the wind noise often associated with cardioid microphones. A wide variety of colors and connections are available for use with various wireless transmitters. This version is beige and the cable terminates to a Switchcraft TA4F connector for Telex wireless transmitters. The omnidirectional polar pattern yields a generous pick up pattern and uniform frequency response. The flexible boom provides a stiff fit that maintains its shape for single user applications. The E6 Flex is also available in a cardioid version for maximum off-axis noise rejection in environments with high feedback and noise.